This Audit 123 Level 1 Health and Safety in the Workplace audit guidance accompanies the Audit 123 Level 1 Health and Safety in the Workplace workbook, providing auditor’s guidance to aid assessment and decision making during audits, reviews and gap analysis. The guidance enables auditors to rapidly come to a conclusion on aspects of workplace health and safety, identifying gaps in compliance and the action needed to make improvements. It will also provide a valuable resources for those looking for information, support and advice to enable them to implement operational systems for workplace health and safety that meet good practice and legal compliance. 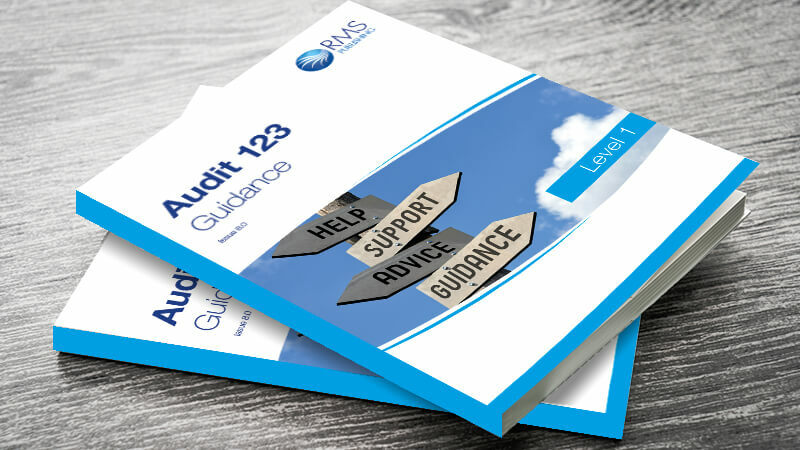 This auditors’ guidance has been published to accompany the Audit 123 Level 1 Health and Safety in the Workplace workbook, providing a framework to assist in evaluating requirements set out in the workbook. This user friendly guidance supports the audit process and means the workbook checklists are easy to use. The reference numbers in the guidance publication correspond with those contained in the workbook. Each page of the guidance is divided into two parts, describing the health and safety requirements and what should be considered by an auditor when assessing the degree to which the requirement has been met. This guides auditor decision making, enabling audits to be comprehensive and consistent. The level of compliance being demonstrated by the organisation naturally flows from the audit process. This auditors’ guidance publication focuses on the operational systems required for workplace health and safety. In particular, it considers requirements for legal compliance, management of health and safety and control of specific risks. Our audit checklist workbook and guidance provides an affordable solution for discerning auditors who want to take advantage of our experience and save time in audit preparation. *Does not include parts of Scotland (Inverness and the highlands may take longer). We can’t always guarantee next day delivery due to unforeseen or extenuating circumstances.